It looks like a picture book for very young children, but don’t be fooled! Little Bird speaks to all ages. Embedded here is a quiet message about the little things that make life valuable. To appreciate the book most, take your time perusing the pages. Especially if you are feeling frazzled, this is the antidote to the “must do more” sense that drives us to exhaustion. 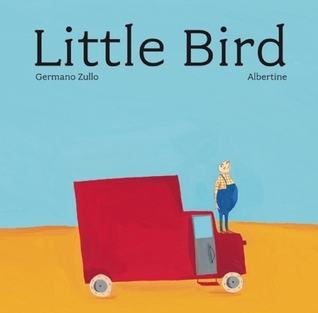 The story is presented in spare text by Germano Zullo, and expressive but minimalist art by his wife, Albertine. Treat yourself to this emotional uplift.